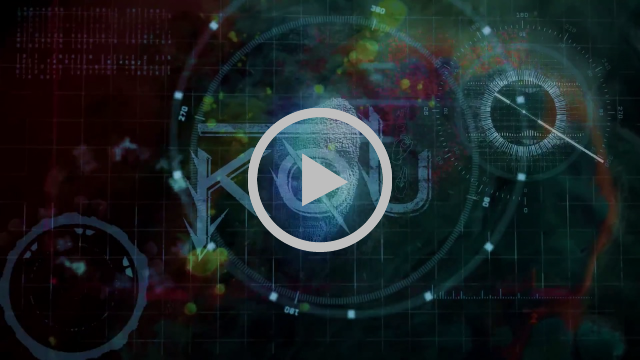 FORMER THE RED JUMPSUIT APPARATUS MEMBER JON WILKES LAUNCHES A BRAND NEW PROJECT – KOU! FIRST IMMERSIVE SINGLE AND VIDEO – “TIME IS THE ENEMY” – IS NOW OUT! Former The Red Jumpsuit Apparatus member – Jon Wilkes, a platinum-selling artist with a significant experience and reputation in the music industry – launches a brand new project, aiming to expose a unique, innovative and distinguishable music profile in the current state of the music world, called KOU. The first chapter of KOU’s undoubtedly destined for success journey in the entertainment world is called “Time Is The Enemy”, the formation’s first single, which is clearly showcasing and presenting the experimental, mysterious and meaningful nature of the characteristics of this new project’s essence. Utilizing immersive layers of mysterious synth-driven pieces, genuine lyrics and subtle guitar melodies, “Time Is The Enemy” creates truly impressive soundscapes that permeate the overall composition, as the final product shines over a minimalistic electronic pulse before subtly building effectively to the chorus and escalating to an expected climax. Providing a sense of intensity and emotion through experimental electronic elements and atmospheric and alternative song construction that fits well in combination with the immersive overall look of the music, the general progression and development of the “Time Is The Enemy” is nothing short of monumental, and the momentous build up in the bridge of the track makes way for one more plunge into the fray, ultimately capturing a grand feel, further magnified by the exceptional visual presentation of the accompanying video, which proves that KOU’s end goal is to truly generate significant waves in the future and completely revolutionize the music world with its activity. Watch the video for “Time Is The Enemy” by clicking on the image below. TETHRA UNLEASHES POWERFUL CAREER-LAUNCHING SINGLE – “THE HOURGLASS”! TAKE PART IN THE REVOLUTION OF THE MUSIC INDUSTRY AND RE-INVENT YOUR CAREER PATH NOW! SHOW4ME OFFICIALLY LAUNCHES ITS BETA VERSION! ARTIFICIAL OCEANS AIMS TO BRING AWARENESS TO MENTAL HEALTH WITH EMOTIONAL NEW SINGLE “SAFE HAVEN”, RELEASED IN ASSOCIATION WITH HEART SUPPORT!